Bleu has created his very own social networking site on the Ning platform and he really really wants us to join it. In one of the coolest promotions ever, joining his community will automatically make you eligible to win a very special prize, a custom birthday song written and performed by Bleu himself! 1. Make a personal profile at Bleu's new online community, the site is free! 4. Do all of this before August 25, 2009 and you'll be entered! Evidently he has a history of performing special birthday songs for friends. You can download an EP of those songs via iTunes. 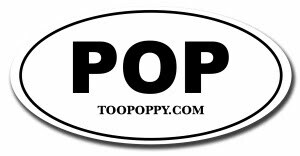 Here's hoping for inclusion of "A Too Poppy Birthday" on the next EP.